This post, and maybe your evening supper, is a bit like the title. Some things tossed together. I hope you enjoy it. For my gluten-free folks: I just received an email today from thyroid advocate Mary Shomon about something called the FODMAP diet. Kind of hard to explain, so here’s the link if you’re interested. It looks to mean high-sugar/carb content foods,but I can’t say I understand all of it from a quick read. For anyone reading that’s interested, I am passing along info. Two topics are on chocolate, so I’ll start with the first one: Lindt. You probably heard about the incident in Sydney, Australia in a Lindt cafe yesterday: the terrorist went down and two hero hostages didn’t make it out. The company is offering full support for the people affected; I’m sure that includes medical assistance. Awfully nice of them. There is a worldwide call to support Lindt (#buyLindt and #supportLindtchocolate) by buying something they make, i.e., one of those delicious balls of chocolate at the register in my fabric stores. I know, fabric stores. . .but despite everything going on around here, I’m ready to head out for a couple of Lindt dark chocolate truffles with the deliciously soft insides. Maybe tomorrow, but I will. I am also thankful that my wonderful Aussie friends live in Melbourne, some distance away from where this happened. Please say a prayer for Sydney as the city puts itself back together, buries its heroes and heals from this horrific incident. Much like Boston, it will take time to sort out what happened. The second topic is a different chocolate company here in the US, and I occasionally drop in their shop in Baybrook Mall when I have to go in there. 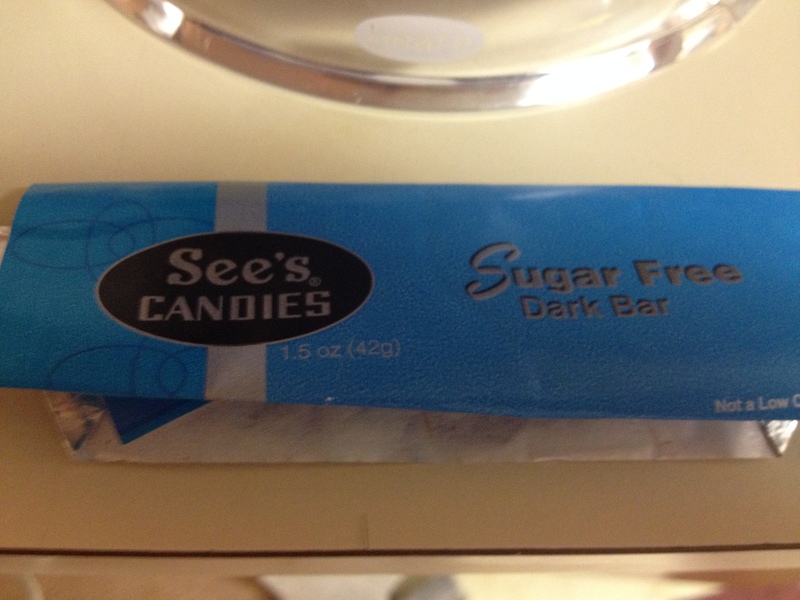 See’s Candies is a company in the US with some locations in Asia that is more of what you’d call a “chocolate boutique” (my term.) I always thought they were a Texas company, or even a Houston company, but no, they’re headquartered in Carson, California. Sorry, I forgot the picture until it was gone. The very nice Malcolm, who always greets me with that smile when I go in there. Note: I was NOT rude to him, I just mentioned that I wasn’t in a good mood, and apologized for being a grouch. By the time I left Sees, I felt better. Please do not be rude to Malcolm, either!! He’s very friendly, doesn’t bite. I’ve seen him several times, so I know he’s been there a while–which is more than I can say for Staples! (They’re nice too.) Malcolm always tells me about the delicious new things they have, whether or not they are sugar-free. I can vouch for them all being delicious, even if I don’t know what they are. . .because I’m too busy listening to him tell me about what’s new. I happened to mention to last week that I write a food blog sometimes, and, DUH–how about a blurb about See’s? 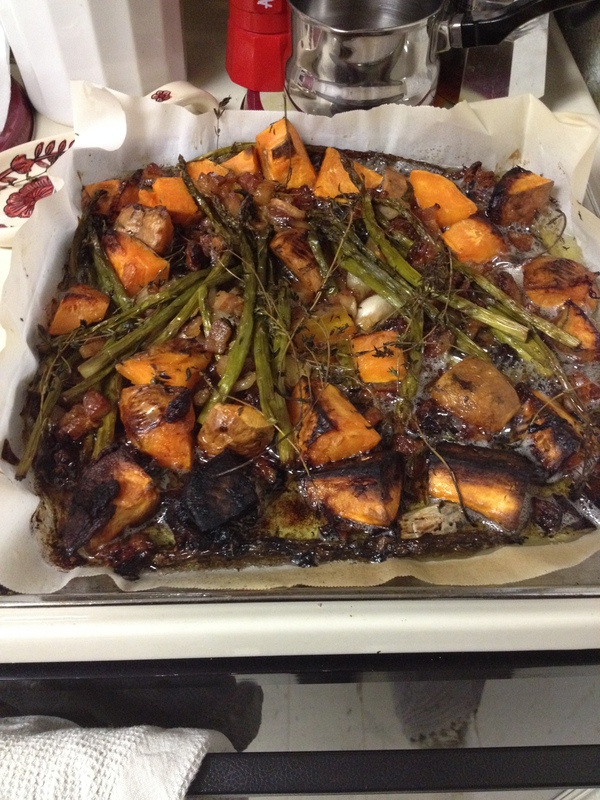 I didn’t say I was the best food blogger. . .but Malcolm did mention that he’s also been to culinary school. 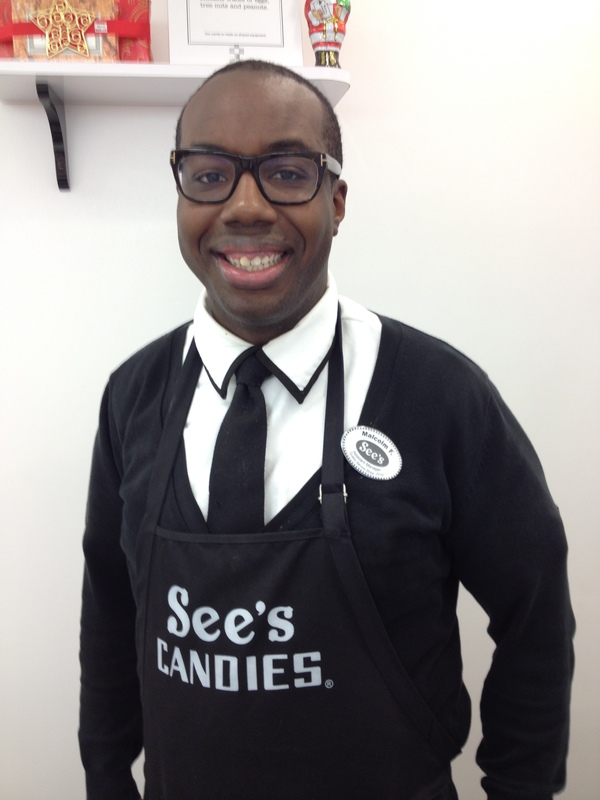 If you’re in Baybrook Mall sometime, stop in and see Malcolm and his very nice coworkers and see what they’ve got in the way of truffles, candy bars, and if you’re so inclined, sugar free chocolate. Whether for gifts or for yourself, Malcolm will make sure you are not disappointed. Did I mention that chocolate is the Food of the Gods? 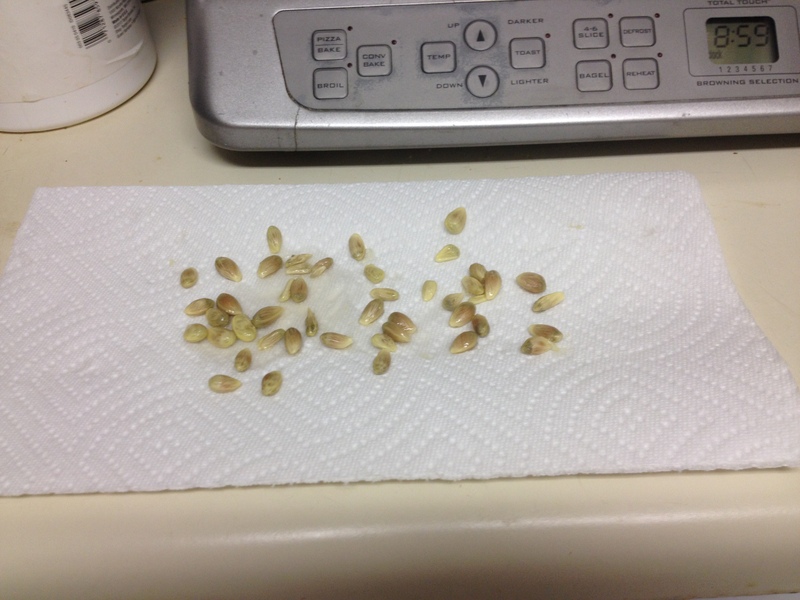 I thought I should. . . .
Now, longtime readers of this humble blog are familiar with my attempts at gardening. I’ve had some successes, but I haven’t yet been able to grow enough to make a significant dent in my grocery bill. 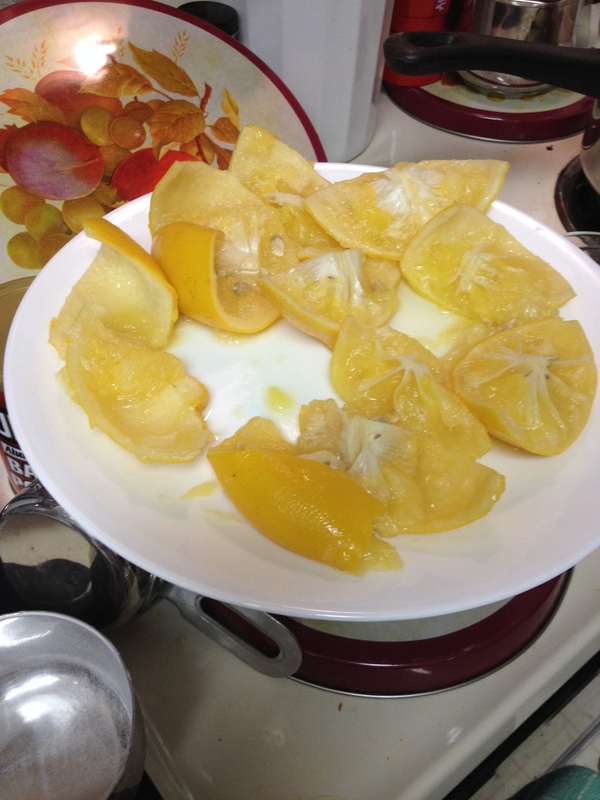 I’ve had a couple of small bell peppers, three Anaheim chili peppers, and four Meyer Lemons. The lime tree had flowers on it when I bought it, but no fruit this year. Then again, that Meyer lemon plant is about two years old. The GER told me “you might get one or two from it.” HA! I got four. Take that! I need to ask him how the pineapple plant is doing. . . .
Well, the day finally came where they were ripe and I had to pick them. So what the heck was I going to do with them? 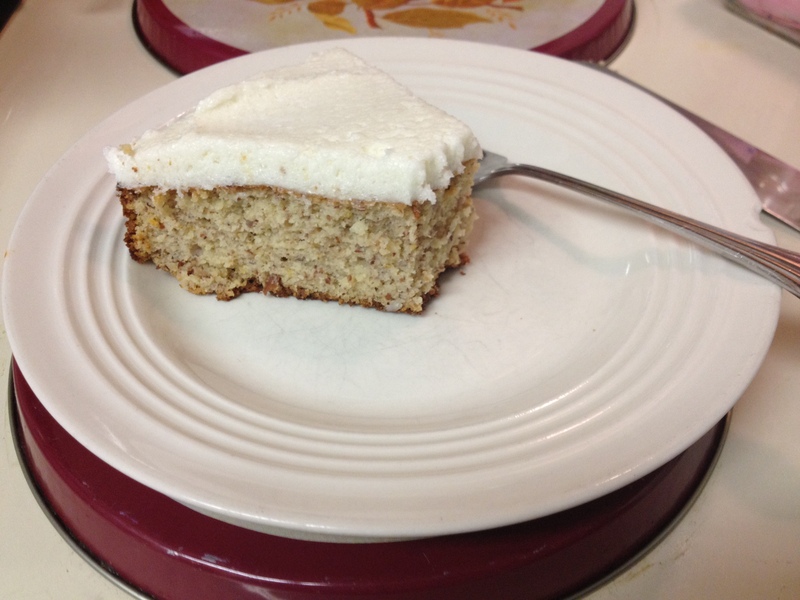 Look no further than picture-based social media site Pinterest, where I found this delicious recipe for a gluten free cake made with almond flour and. . .FOUR Meyer lemons. Now, the only “objectionable” thing in the recipe is sugar. . .so, naturally, I went with Somersweet, and it worked beautifully. Honest, it’s a little time consuming, but otherwise pretty simple. 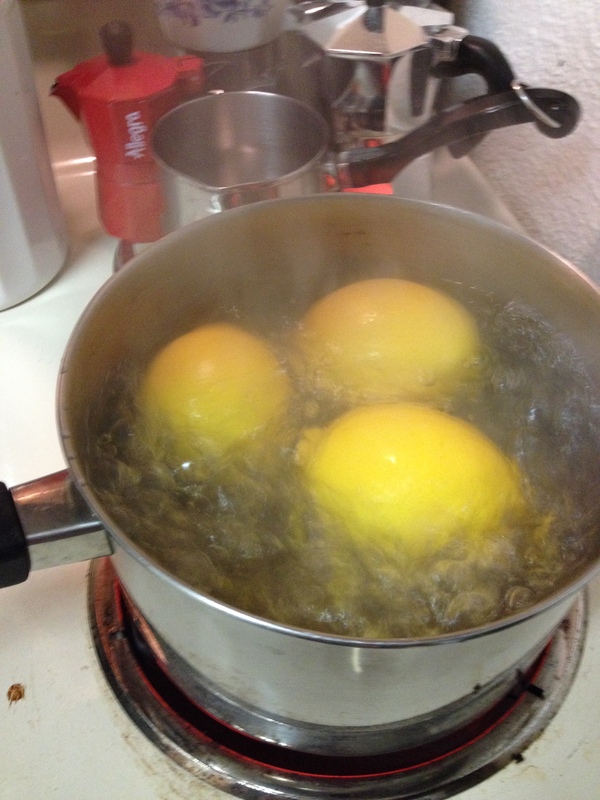 I know–it’s weird to boil lemons, isn’t it? 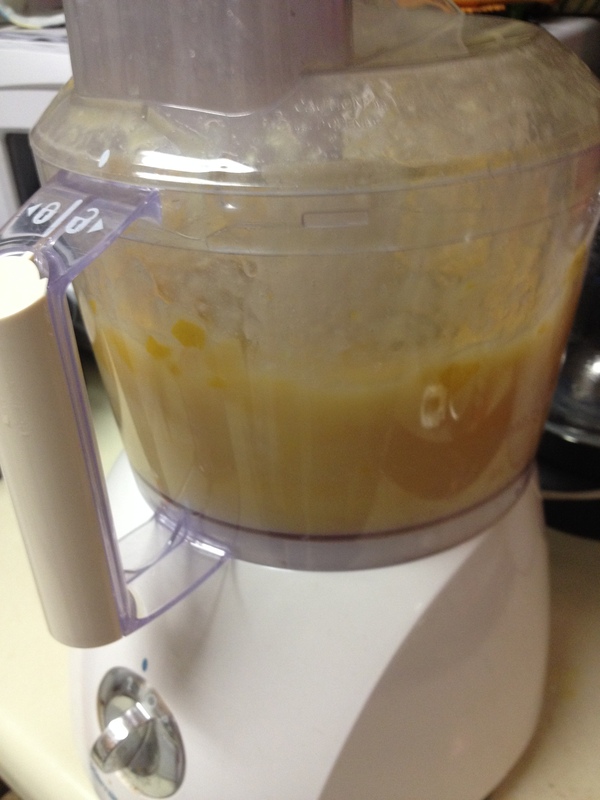 Next up, the secret–the food processor! 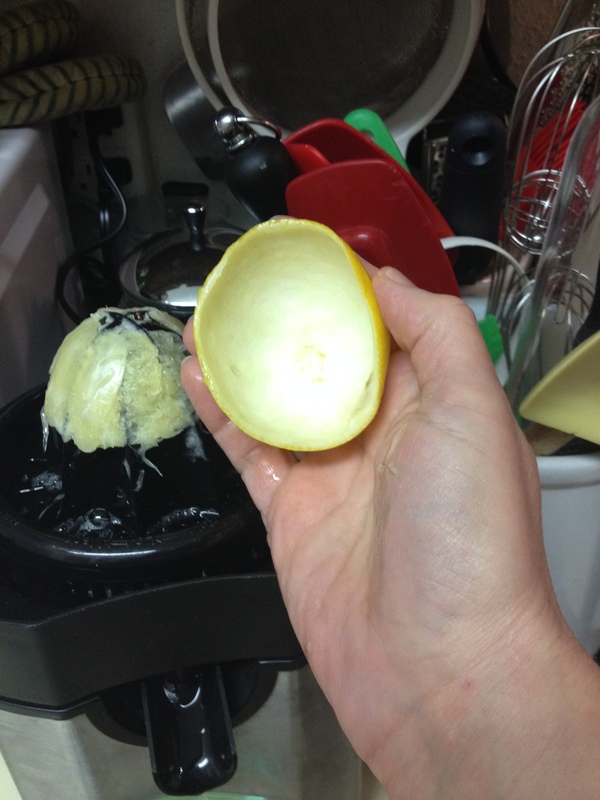 You puree the entire lemon–yes, peel and all–until it’s nice and smooth. 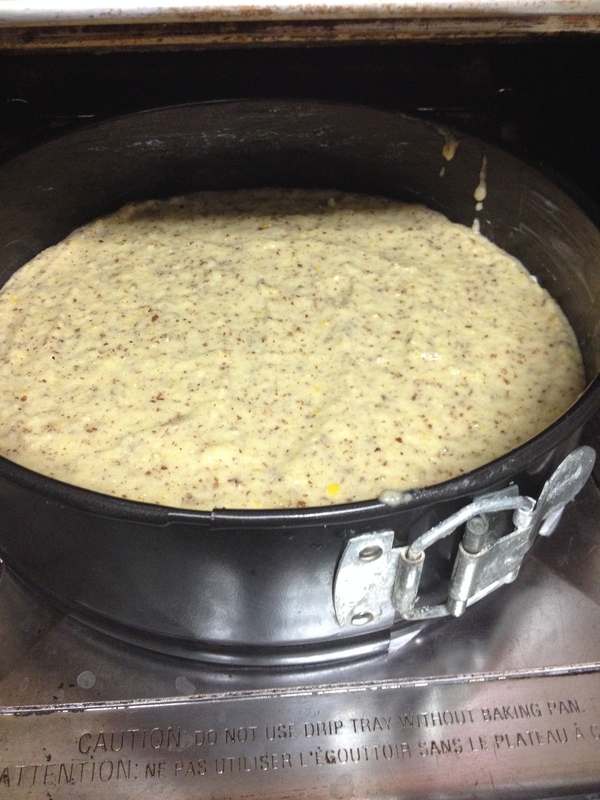 Separately, the eggs and sugar/Somersweet get combined. 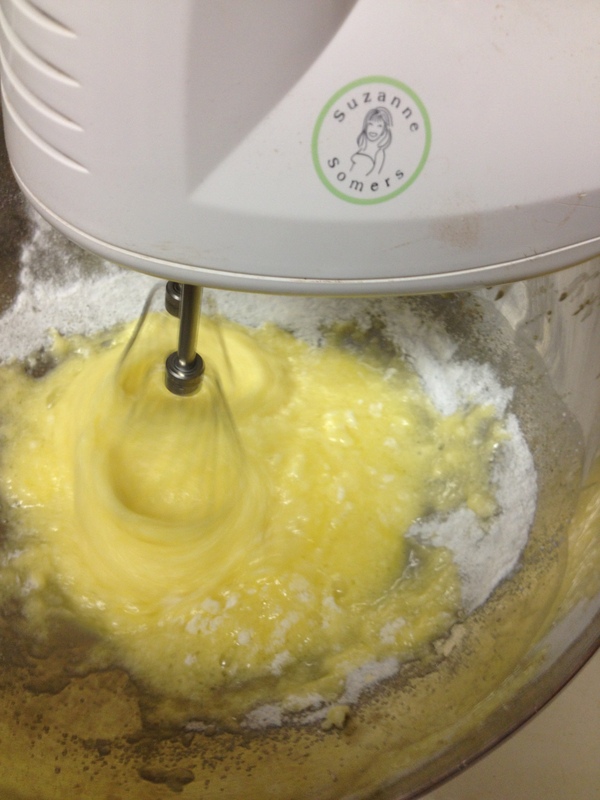 With my Suzy Homemaker, I mean, Suzanne Somers electric blender. 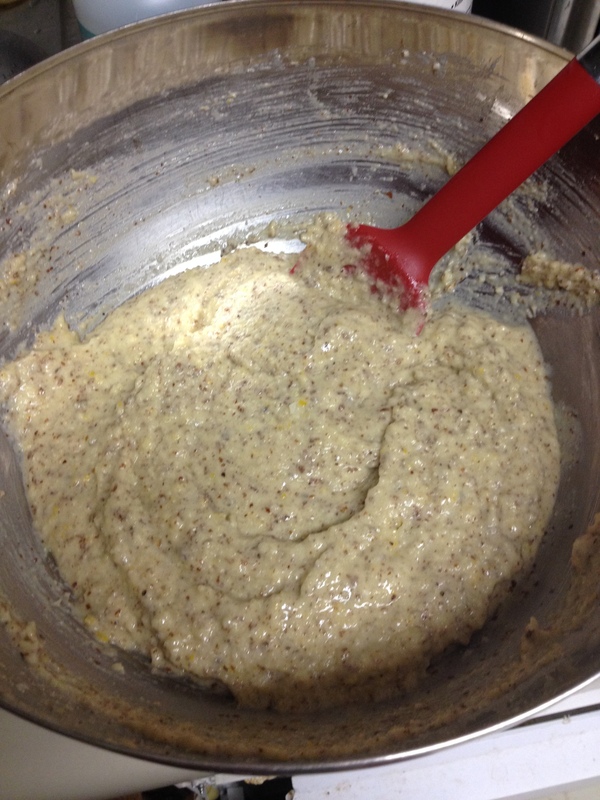 Next you mix in the almond meal, lemon puree and baking powder to make the batter. Now, while that’s going on, clean up a little, and then get on with the icing–I used the fourth lemon, which was half-zested, and juiced it. Look! It came out of its shell! One thing I will tell you is that Meyer lemons, while bigger and slightly sweeter than regular lemons, are NOT edible as is. I tried it. Ended up with this much juice. With 3 tablespoons of soft butter and 1.5 cups of confectioner’s sugar, or in my case, SomerSweet, you beat that all together and get this thick, stiff, tart, sweet icing that tops that sweet, nutty cake perfectly. No, it’s not something you’d get in a fancy bakery, but you know what? It’s a rustic, homey, delicious cake that will really make you happy. Gluten free, and if you’re so inclined, sugar free. Yeah. Take a bite outta that. Neighbor K and Neighbor R have both given two thumbs up to the slice I gave them, so I know it’s good–and neither one cared that it was healthy, either. 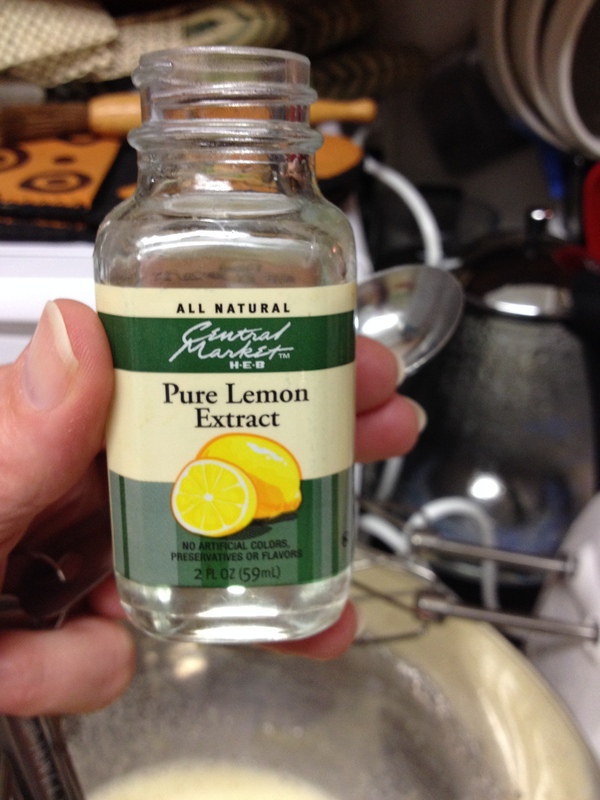 Try it soon, (even with regular grocery store lemons) and you’ll be happy you did. This cake is good about anytime you want something different, and it’s not chocolate. Many thanks to fellow blogger Sue over at The View From Great Island for this wonderful cake. 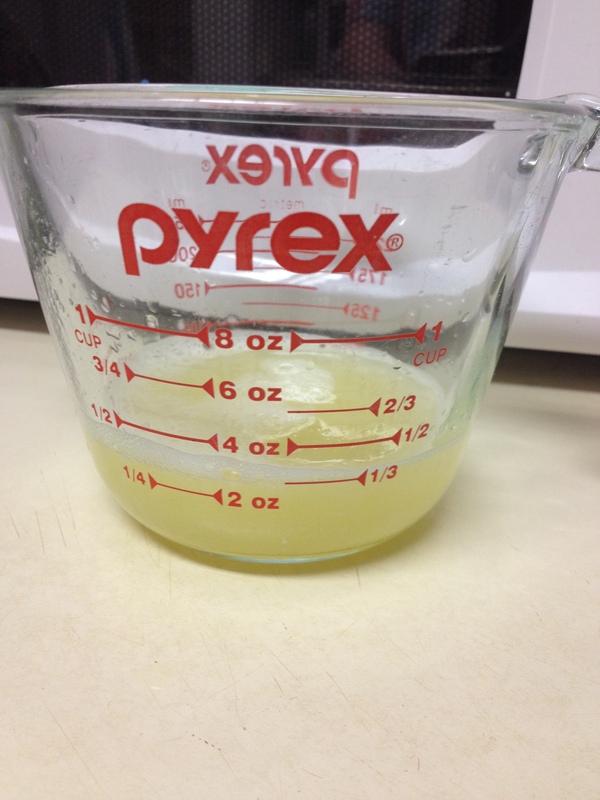 It’ll happen again. . .because I have more pureed Meyer lemon in the freezer!! Now for something REALLY different. . . .dinner. I was flipping through Nigella Kitchen on Sunday, thinking about what to do with something that’s been in my freezer for a while, and I found an unusual recipe I’d never noticed before. You know I just HAD to try it! Keep reading. . . .
Over the weekend I had the occasion to drive into town. I had no idea that the stretch of freeway was under construction and was closed, I had a fun time taking detours and getting lost. I got where I needed to go, eventually, but on the way home, I stopped at Trader Joe’s for a few things. 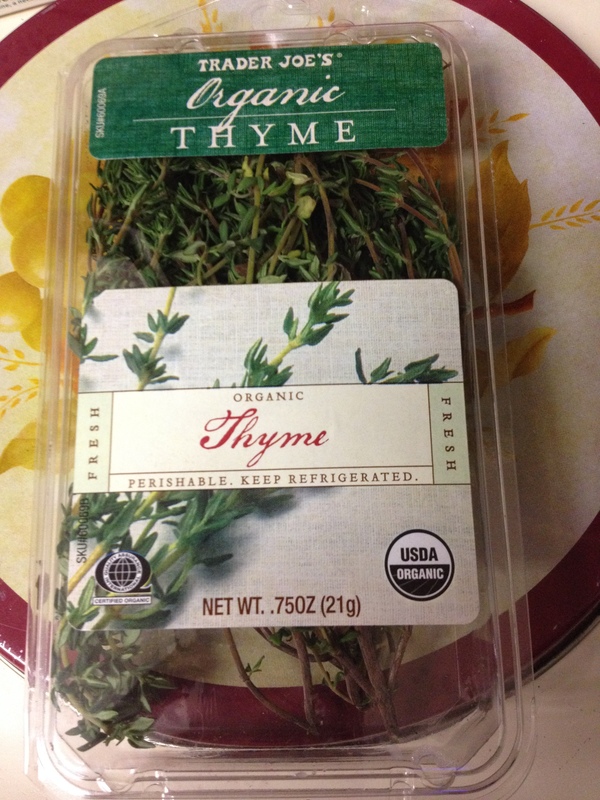 I took two pictures of what I needed from Trader Joe’s, (paperless grocery lists!) missing only olive oil. I was told by one of the workers that it had not yet been unloaded, and was still sitting on a ship in the Houston Ship Channel. Oh, well. At least I’m not out. Well, I needed asparagus and thyme, but was unable to find the cold-pressed canola oil, so darnit, I just used some olive oil. And instead of “smoked lardons” (you try finding them in Houston, OK?) or the 16 slices of bacon, I used. . .bacon. 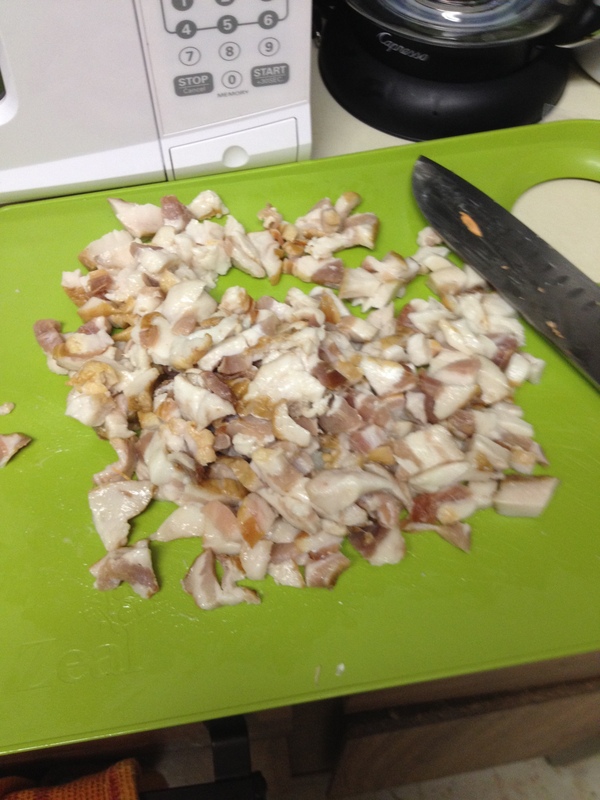 Because lardons are bits of pork fat anyway, darnit. Why bacon ends? Because they’re CHEAP. 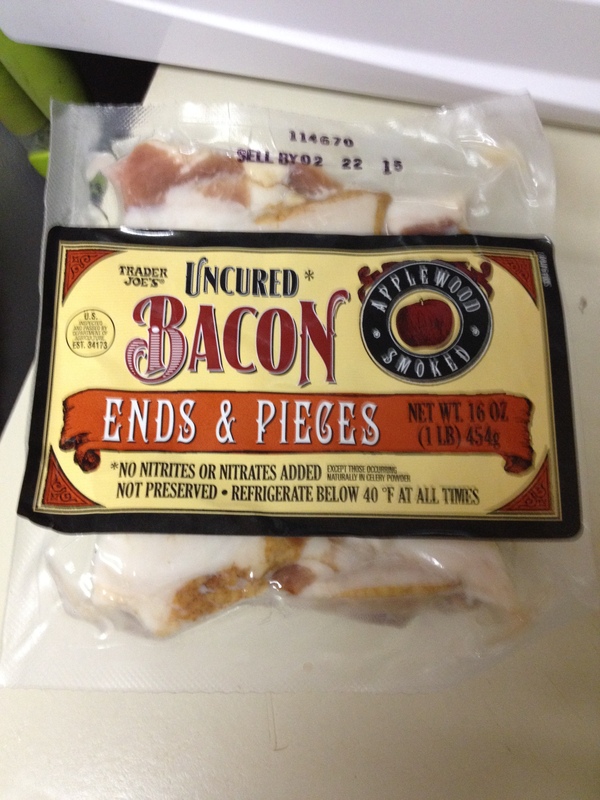 Because, ladies and gentlemen, there IS no such thing as “too much bacon.” At least, not here. But maybe next time I’ll try half the packet. I lined the pan with parchment paper first, made cleanup real easy. The rest will be used to make more of my favorite dry BBQ rub. This is very delicious. Trust me. I chopped the sweet potato smaller than Nigella recommends, but I didn’t turn them right at 30 minutes like I should have, so they overcooked on the bottom. No matter. Nigella also recommends mango chili sauce, but I didn’t think to look for it in Trader Joe’s. I think I have some Tabasco Habernero, which has mango in it to tame the heat. . .but I forgot about it. I also forgot to use the lettuce leaves under this, as suggested. This is SOOO good. . .you will not believe it. I texted Neighbor K, who had gone out for the weekend with her girlfriends, and told her how good it was. I offered her the other half, but she was still full from the morning, so she declined. That means I had it again the next day for lunch! Maybe next time. This recipe serves two, but could easily be doubled for four people. 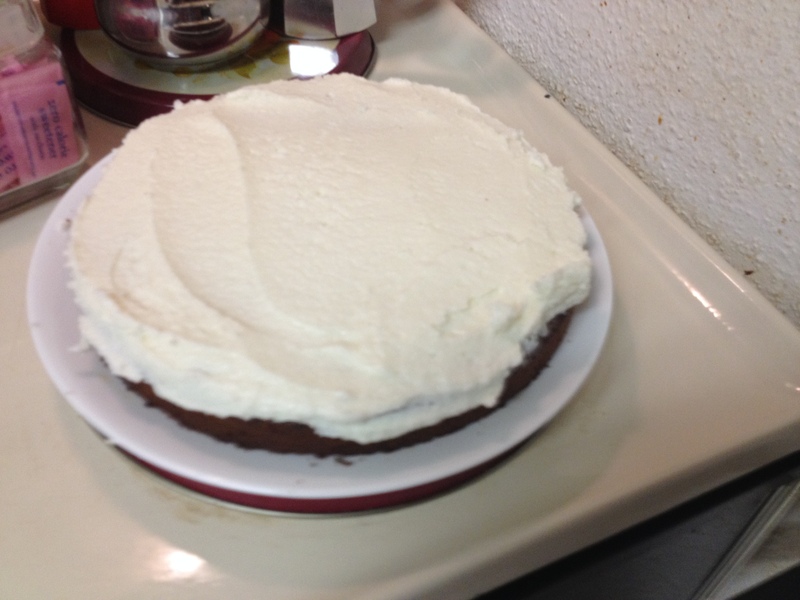 It does take an hour to cook, but that frees you to do other things, like make an easy dessert you don’t have to bake. Seriously, this is amazingly delicious. Want something different for dinner this week? Give this a try. You won’t be sorry. 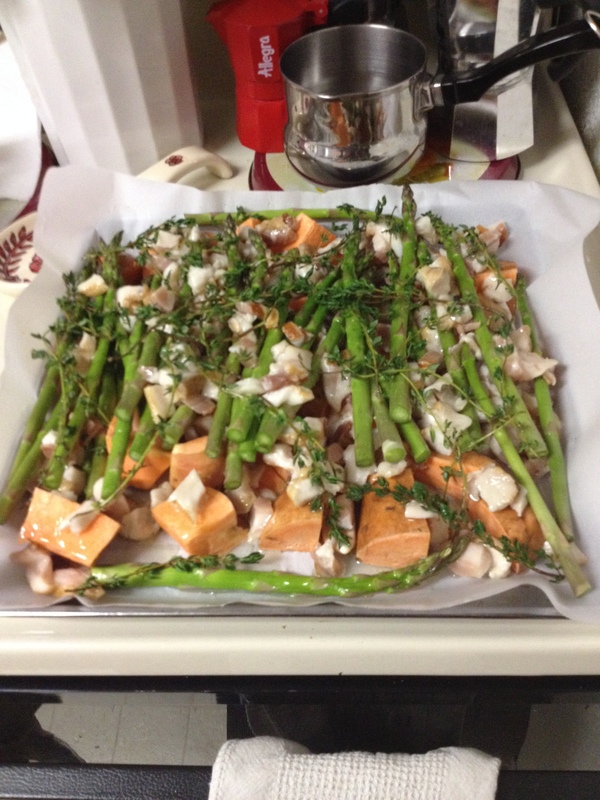 Preheat the oven to 425, and get out the roasting pan for all the ingredients. 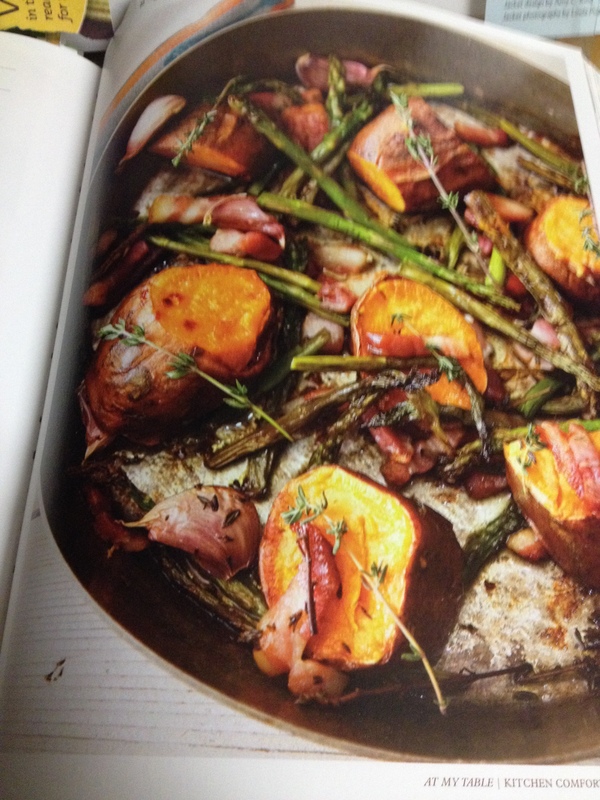 Arrange the sweet potato chunks in the pan and then drop in most of the lardons/bacon, followed by the asparagus tips and garlic cloves, and finally, the remaining lardons/bacon. 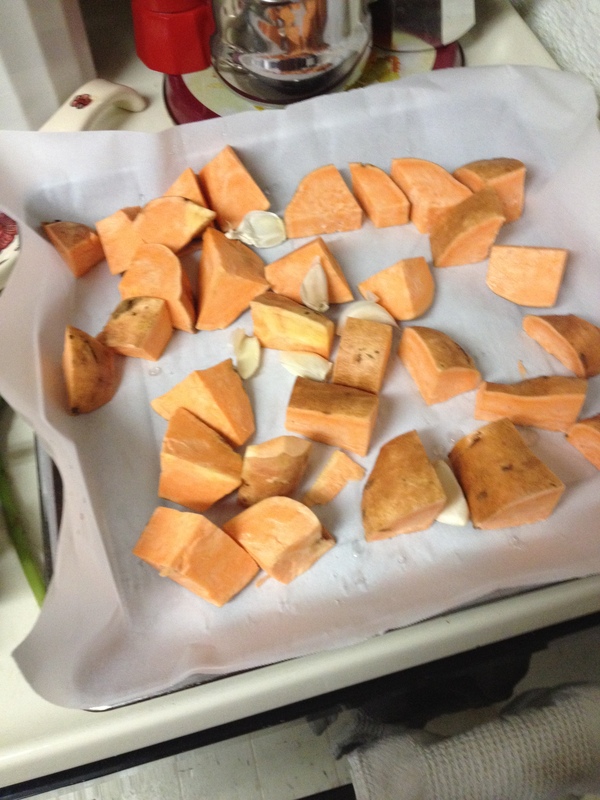 Sprinkle with the thyme, pour the oil over, then bake in the oven for 30 minutes, before turning the sweet potatoes over and bake for another 30 minutes. Let everything cool a bit, then divide between 2 plates on top of salad leaves (if desired) and sprinkling with some salt or chili sauce as desired.